Make no mistake about it that the Boston College Eagles have never been a national power in men’s basketball or football, but they have always been respectable. However the Eagles went without a win in both men’s basketball and football in the Atlantic Coast Conference during this academic year. And in the process, Boston College became the first school in ACC history to suffer such a fate. Now the Eagles will attempt to dig themselves out of this rubble that they themselves created. 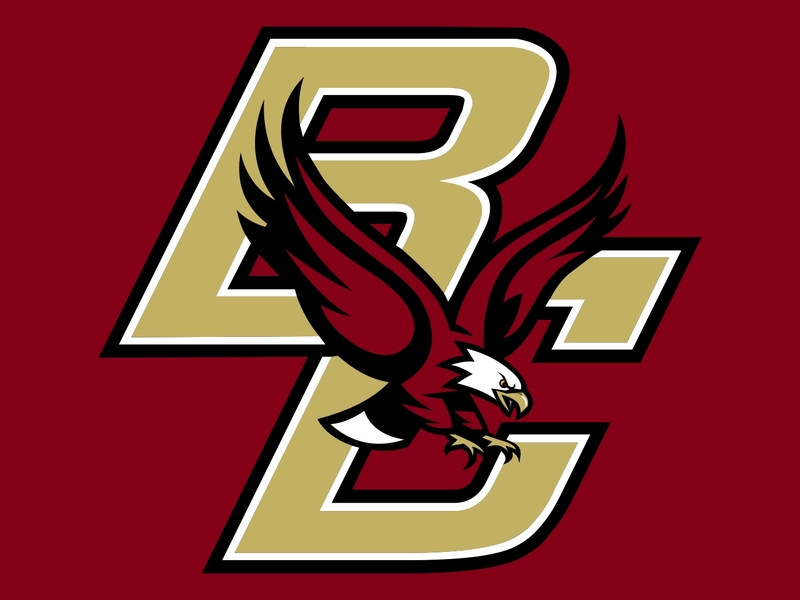 Boston College was a charter member of the Big East Conference in 1979 in men’s basketball along with being there in 1991 when the conference got involved with football. The Eagles would have some success under the Big East banner which included 11 trips to the NCAA Men’s Basketball Tournament, and four conference regular titles, while also winning the Big East Tournament in 1997 and 2001. Boston College was also no stranger to sending players to the NBA such as Howard Eisley, Dana Barros, and John Bagley. In football, the Eagles only won the Big East Conference once in 2004, but in their last six seasons in the conference they finished each season ranked in the top 25 of the Associated Press Poll. The Eagles were never world beaters but you knew who they were as they were always a tough out. But little did the school know that their greed would set their athletic program back as much as it currently is. On October 12, 2003, Boston College school president William Leahy chased the almighty dollar when he agreed to join the Atlantic Coast Conference. But after having initial success in both men’s basketball and football within the ACC, the Eagles success down on Tobacco Road has faded. Since 2010, the Eagles have never had a record better than 7-6 in football while they’ve failed to reach the NCAA Men’s Basketball Tournament since 2009. Since 2006, Boston College has had four different head football coaches and three different men’s head basketball coaches since 2010. And in both sports it has been a common theme for Boston College which is the inability to compete in the Atlantic Coast Conference. It’s not that the Atlantic Coast Conference was a superior league to the Big East, but Boston College thrived when their brand was solely focused on the Northeast region of the United States and now they have not been able to keep up. Locally the Eagles have to compete with professional sports franchises in the New England area such as the Boston Celtics and New England Patriots while many other schools within the ACC are the only show in their respective towns which gives them that added local support. That lack of support has also hurt Boston College on the gridiron as even when they have a decent season, they tend to get pushed down on the conference totem pole for as they don’t travel well. Boston College has always primarily recruited locally which was good enough to stay afloat in the Big East, but not in the ACC. However Boston College is not the only former Big East school that has struggled since turning their backs on the conference in favor of larger paychecks. The University of Miami left the Big East in favor of the Atlantic Coast Conference in 2004. From 1983-2002, Miami won five national titles in football while playing for it all on three other occasions. Miami would also claim nine Big East Titles and that success hasn’t traveled with the Canes as they’ve never won the ACC and they have also failed to produce a 10-win season. In 2013, the University of Pittsburgh along with Syracuse University would join the ACC. Pitt and Syracuse were basketball powers that had mediocre football programs in the Big East. But now down on Tobacco Road, both schools have gotten lost in the shuffle. West Virginia University decided to leave the Big East in 2012 for the Big 12 Conference. And after finishing the college football season ranked in the top 25 of the Associated Press’ Poll in six of their last seven years in the Big East, West Virginia has not been able to achieve that same success in the Big 12. That same greed would see Rutgers University join the Big Ten Conference in 2014. The Big Ten sought Rutgers for the New York media market and in turn the school has become a conference whipping boy as they finished the past college football season with a record of 4-8 while going 17-47 over the last two years in men’s basketball. We’ve seen school administrators chase a bigger payday from a conference that will have a better television deal due to their irresponsibility in managing finances. Men’s basketball and football are the only two collegiate sports that are lucrative enough to justify the spending that it takes to support them. However many schools spend in the same fashion on other sports which then can drive them into debt. Many of these schools have chased that paycheck, and in the process they’ve sold themselves short on the athletic field. Syracuse men’s head basketball coach Jim Boeheim was a person that was vehemently against his school joining the Atlantic Coast Conference. Boeheim knew the importance for him to recruit the Northeast for his program, but the school simply looked at the bigger picture for football which has been a laughing stock at the Central New York campus for more than a decade. Like myself, Boeheim was able to foresee the future as he knew that these athletic programs that primarily focused on the Northeast would be fish out of water in other regions of the country. But in the case of Boston College, they will always be fighting an uphill battle due to the fact that the play in a major metropolis. Last month, Boston College athletic director Brad Bates unveiled a plan for a $200 million upgrade to the school’s athletic facilities which is good even though it might not allow them to take that next step in the Atlantic Coast Conference. The Eagles have long had a history of underpaying their athletic coaches which is also a practice that they’ll have to get away from if they want to turn things around which means that the alumni must pony up the bread. The Boston College family has to be embarrassed after going winless in the Atlantic Coast Conference which is going to help them attempt to get the ball rolling as far as turning things around. But typically when people chase something; especially money, they tend to look past things that have been helpful to them along the way. Like other schools that chase a paycheck, Boston College thought more of themselves than what they were and all they have to show for their trip to Tobacco Road is more money in their bank account while the losses have mounted and their respectability has been tossed out of the window. And once you added all of this up, it simply amounts to Boston College completely bottoming out in the ACC.